Archaeologists have uncovered an ancient astronomical observatory dating back between 700 and 1,100 years in western Mexico, revealing evidence of sun worship among the Aztatlan culture. The finding has helped define the importance astronomy had in the region. The finding was made at the Cerro de Coamiles archaeological site, one of the leading centres of the Aztatlan culture (850 – 1350 AD), located in the central coast of Nayarit, Western Mexico. Aztatlan (otherwise called Aztlan) is the legendary ancestral home of the Aztec. According to legend, there were seven tribes who lived in Chicomoztoc ("the place of the seven caves"). Each cave represented a different group: the Xochimilca, Tlahuica, Acolhua, Tlaxcalan, Tepaneca, Chalca, and Mexica. Because of their common linguistic origin, the groups are called collectively "Nahuatlaca". These tribes subsequently left the caves and settled Aztatlan. Aztec is the Nahuatl word for "people from Aztlan". 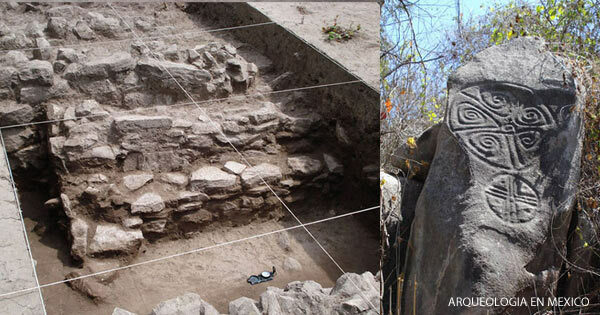 The results of the latest investigation in the region represents a significant advancement in the understanding of the symbolism employed in Aztatlán ceremonial architecture which was linked to the solar calendar and the annual ritual cycle connected to agriculture. Research in the Cerro de Coamiles began in 2005 and is still continuing, concentrating on the upper platforms located on the southwest side of the hill where a tiered system of large embankments forming part of the main ceremonial centre has been discovered. Mauricio Garduño Ambriz, an archaeologist at the National Institute of Anthropology and History (INAH), said that the newly-discovered observatory forms part of a ritual architectural complex which was built to record the passage of the sun through the sky at the equinoxes. The symbolic importance of marking equinoxes in coastal Aztatlán is confirmed by the frequent sculptural representation of Xipe Totec (flayed one), the sun god associated with spring equinox and his depiction on ceramic vessels intended for ritual purposes. According to legend, Xipe Totec was one of the gods that sacrificed themselves in order to make the sun move by jumping into a raging fire in the ancient city of Teotihuacan. Sun woirship is nothing new and I know it is not new to ancient mexico. I also have seen some new theories that point to the Actez originating in what is no the United States and later traveling to Mexico and the Aztes had there own form of sun worship. it may not be on the level of the eqyptians or the people of New Grange but it was there none the less.